I have been drinking Chamomile Tea and recently, being accomplished in the fine art of wasting time, I began reading up on this strange plant, chamomile. There is this fascinating page! This is a fascinating plant. Its name comes from the Greek for "earth apple." That is kamai (ground) plus melon (apple). Wow, who knew "melon" was "apple" in Greek? Now we do. Which proves, chamomile makes you wise. In Spanish, chamomile is manzanilla, hence the sherry. Stepping on a chamomile plant is good for it. If you have a sick plant you should just place a chamomile plant near it and nine times out of ten your sick plant will recover. What I have discovered -- and this is from me, not from the page -- is if you drink chamomile tea before bed, the odds go significantly down that you will awaken during the night. Even if before bed you have been listening to Pennario playing Liszt! My friend Judi also drinks chamomile tea. Her husband admonished her, "That's a drug!" The Germans say of chamomile, "Alles zutraut." Which means, it cures everything. It will restore a man to hys color shortly yf a man after the longe use of the bathe drynke of it after he is come forthe oute of the bathe. I would walk a mile for a Chamomile! Sorry, I could not help that. Here is something that puzzles me. 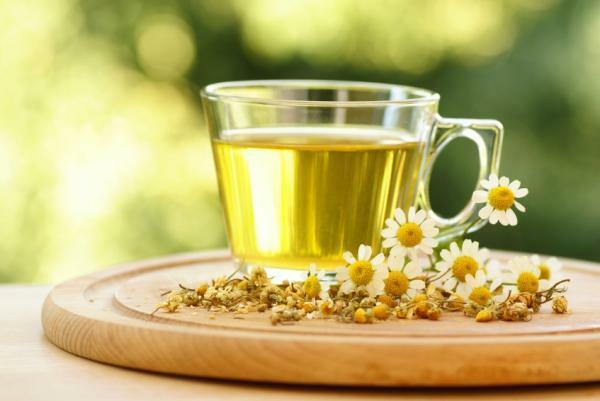 You have something like chamomile tea that, as the page indicates, has been used since ancient Egypt, pretty much all over the world, as a natural sleep enhancer and a help for all kinds of other things. But oh, there is always that statement from the Food and Drug Administration that it has not been proven to have any effect at all. They even did some kind of scientific test and found it unhelpful in 14 out of 15 ailments! I read that somewhere on the Web. So everyone from the ancient Egyptians on down have been wrong. Europeans, Africans, Asians, Native Americans, down through the centuries, what do we know? Chamomile is used with purgatives to prevent griping. I guess I will quit griping and go on with my day!